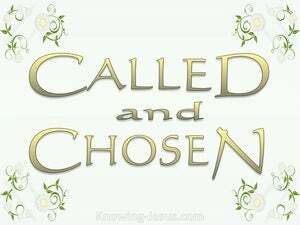 But you are a chosen people, a royal priesthood, a holy nation, a people to be his very own and to proclaim the wonderful deeds of the one who called you out of darkness into his marvelous light. 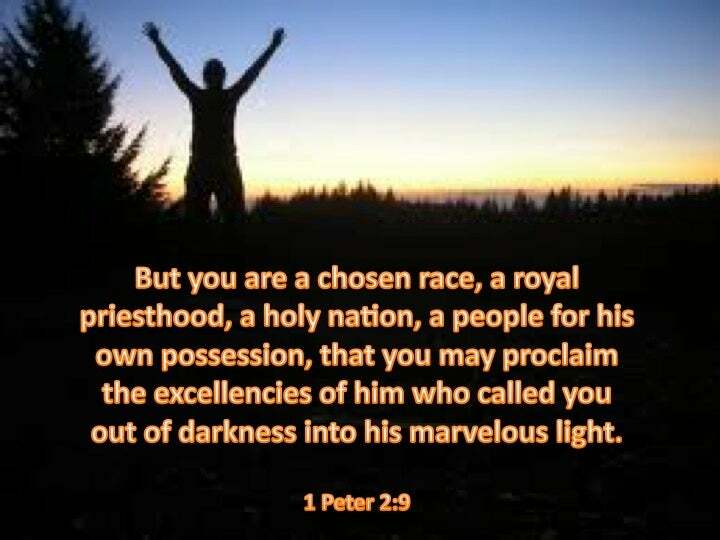 But ye are a chosen race, a royal priesthood, a holy nation, a people for an acquired possession, so that ye might broadly proclaim the excellencies of him who called you out of darkness into his marvelous light. But you people are especially chosen [by God]; you are a royal body of priests; you are a nation especially set apart for God's use; you are a people who belong exclusively to God, that you may express the virtues of the One who called you out of darkness [i.e., of sin and error], and into His marvelous light [i.e., righteousness and truth]. But you are a special people, a holy nation, priests and kings, a people given up completely to God, so that you may make clear the virtues of him who took you out of the dark into the light of heaven. But you are a chosen race, a royal priesthood, a holy nation, a people for God's own possession, that you may declare the praises of him who called you out of darkness into his marvelous light. But ye are the chosen generation, a royal priesthood, a holy nation, an acquired people, that ye should show forth the virtues of him who has called you out of darkness into his marvellous light. But you are the elect race, the royal priesthood, the consecrated nation, the People who belong to Him, that you may proclaim the wondrous deeds of Him who has called you from darkness to his wonderful light ? ?10 you who once were no people and now are God's people, you who once were unpitied and now are pitied. But you are an elect race, a royal priesthood, a holy nation, a purchased people, that you may show forth the virtues of Him who has called you out of darkness into his marvelous light? ?10 you who once were not a people, but now are the people of God; who were once without mercy, but now you have found mercy. 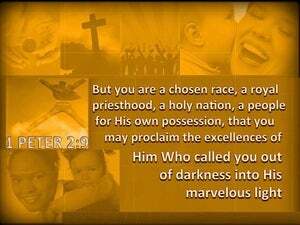 But you are a chosen race, a royal priesthood, a holy nation, a people of his own, so that you may proclaim the virtues of the one who called you out of darkness into his marvelous light. 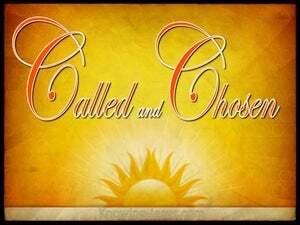 But you are 'a chosen race, a royal priesthood, a consecrated nation, God's own People,' entrusted with the proclamation of the goodness of him who called you out of Darkness into his wonderful Light. But you are a chosen race, a priesthood of kingly lineage, a holy nation, a people belonging specially to God, that you may make known the perfections of Him who called you out of darkness into His marvellous light. 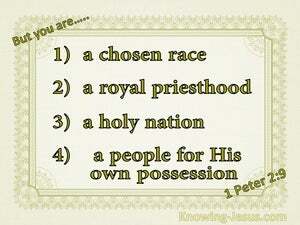 But you are the chosen race, the royal priesthood, the consecrated nation, the people to be His very own, to proclaim the perfections of Him who called you out of darkness into His wonderful light. kind, kindred, offspring, nation, stock, born, diversity, . 8 and, "A STONE OF STUMBLING AND A ROCK OF OFFENSE"; for they stumble because they are disobedient to the word, and to this doom they were also appointed. 9 But you are A CHOSEN RACE, A royal PRIESTHOOD, A HOLY NATION, A PEOPLE FOR God's OWN POSSESSION, so that you may proclaim the excellencies of Him who has called you out of darkness into His marvelous light; 10 for you once were NOT A PEOPLE, but now you are THE PEOPLE OF GOD; you had NOT RECEIVED MERCY, but now you have RECEIVED MERCY. "But the LORD has taken you and brought you out of the iron furnace, from Egypt, to be a people for His own possession, as today. 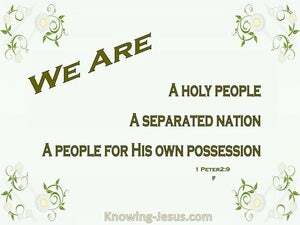 "For you are a holy people to the LORD your God, and the LORD has chosen you to be a people for His own possession out of all the peoples who are on the face of the earth. "I will lead the blind by a way they do not know, In paths they do not know I will guide them I will make darkness into light before them And rugged places into plains These are the things I will do, And I will not leave them undone." "THE PEOPLE WHO WERE SITTING IN DARKNESS SAW A GREAT LIGHT, AND THOSE WHO WERE SITTING IN THE LAND AND SHADOW OF DEATH, UPON THEM A LIGHT DAWNED." TO SHINE UPON THOSE WHO SIT IN DARKNESS AND THE SHADOW OF DEATH, To guide our feet into the way of peace." Agrippa replied to Paul, "In a short time you will persuade me to become a Christian." to the praise of the glory of His grace, which He freely bestowed on us in the Beloved. to Him be the glory in the church and in Christ Jesus to all generations forever and ever. Amen.